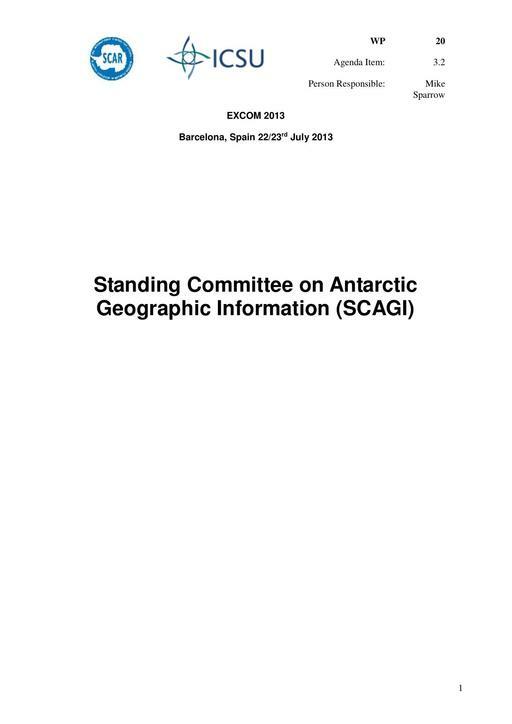 The SCAR Composite Gazetteer of Antarctica is a key product for SCAGI that is widely used by the Antarctic community (see usage statistics below). It has for many years been managed by Roberto Cervellati and Chiara Ramorino, of the Italian National Antarctic Research Programme (PNRA). Both Cervellati and Ramorino have done outstanding work on the CGA, but are both now retired and wish to step back from this role. There is uncertainty (June 2013) about whether PNRA Italy is able to continue to manage the CGA and the identity of successor staff. This needs to be resolved soon to ensure continued provision of this important SCAR product.